The film, which also features Amitabh Bachchan, will feature 8 March. 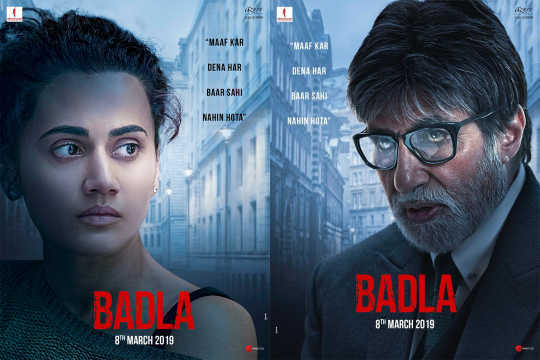 The first poster for Sujoy Ghosh's Badla captures actress Taapsee Pannu in a sombre and angry mood. The actress features on the poster of the film which is scheduled for release on 8 March. Released by Amitabh Bachchan on his social media, the poster also features the tagline 'Maaf Kar Dena Har Baar Sahi Nahi Hota' (It is not always good to forgive). 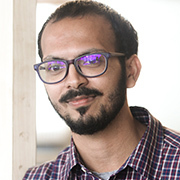 Directed by Ghosh, the cast began shooting for the film back in June 2018, and wrapped up the shoot in July. The film is set to feature Pannu as an entrepreneur. The film is an official remake of the Spanish film, Contratiempo (2017). In return, Pannu also shared a picture of Bachchan's look from the film. With a grizzled mane and glasses, the veteran's look reflects his appearance as the lawyer in Pink (2016). The film has been shot in Scotland, and will mark the return of the Pink co-stars, Bachchan and Pannu together on screen. The trailer to the film will be released tomorrow. In addition to Badla, Pannu has also begun shooting for Anurag Kashyap production, Saand Ki Aankh.